We are at a point in time where you wouldn't be able to walk two minutes without seeing a mobile phone in someone’s hand. What’s the entire hubbub about? Well, the birth of cell phones brought wireless communication along with it when it entered this world. The existing formation of mobile phones is not only for talking to someone on the go, but they also serve as an access point for all internet and email purposes, portable gaming system, MP3 player, PDA, calendar, alarm clock, and just a device you can’t live without. So what happens when the fine line between fun and work gets crossed? You get a fusion of a smart phone and a multimedia phone. This type of cell phone was more alluring to a broader audience than just-business or a camera phone. The current crowd wants to use their mobile phones to deal business at work and squeeze in entertainment whenever possible. This inspired third party software makers to walk in and develop programs for users of all ages and criteria. The companies like App Empire came up with applications or “apps” and designed them to act as the brains in smart phones, giving you multipurpose tools to help you in every aspect of your life. Let’s say for instance, when you bought your computer, chances are it came with factory installed operating system software and probably other applications. And now that you have been using it, it’s safe to bet that you have added newer programs than the originally preloaded programs. To get the most out of your computer, you most likely installed additional software programs you thought were essential. So consider an app as a software program for your mobile phone, which will provide you with simple or complex assistance- just like a hand-held computer! Some apps are as quirky as “Funny Jokes” while some are spiritual as “The Holy Qur’an”, and some are crucial like “TomTom”, a GPS navigation app. 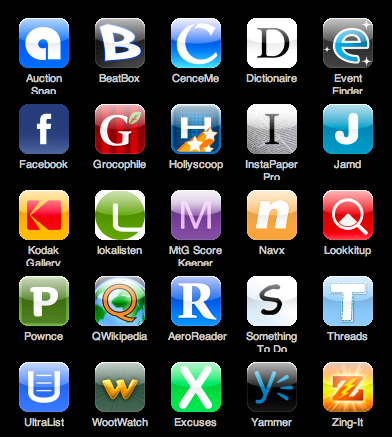 There’s more where those came from; undoubtedly you will find numerous apps to match your needs. No two persons are alike and neither are their taste for what they need out of their mobile phones. And apps allow you to do just that. With apps, you can convert a bland gadget into an exquisite piece of mechanism. Most people want to email and use the net. There are usually factory installed apps for those on cell phones, but you can specify it down to your preference. For example, you can download an Opera application for browsing the internet or a Yahoo! app for emailing. You are in control here; you choose the type of apps you want exclusively to your liking. Business people would want an app for reviewing and editing documents. A teacher would like reference books related apps. Similarly, a teenager wants to text her friends. There’s an app for that, that and that! Once you get into the habit of using them, you will realize the necessity of their functions in your mobile phone. You need to stay connected to family, friends and colleagues. You need to be able to stay close to work. You want to be able to find data at your fingertips. You want to take a breath in life and enjoy great games and entertainment. You want to be out on the road. You want to share and update your whereabouts. The world troubles you with its never ending needs and wants, but it rewarded you solutions with the power of apps. Companies like App Empire provided you with endless possibilities and the opportunity to get lazier. That’s another discussion but you got the idea. Check out the App Empire bonus. Author Bio: ElSayed ElAssal is a technology lover who works in the internet marketing business with 4 years experience.